There's a doctor in Virginia who is trying to promote IV mega-dose vitamin C for intensive care units (ICU) by lecturing to ICU doctors throughout the nation. Dr. Paul Marik was the head of the Norfolk General Hospital's ICU. In January of 2016, out of desperation, he decided to try IV mega-dose vitamin C on a middle-aged woman dying from septic shock in his unit. His IV “cocktail” consisted of vitamin C, thiamine (vitamin B1), and hydrocortisone. Her turn-around and recovery were so unexpectedly rapid and complete that he continued using that cocktail for sepsis victims with a very high success rate. Septic shock is a common occurrence in ICUs, but can occur elsewhere and from different triggers. The mortality rate of septic shock victims is around 50 percent, but the numbers are more surprising. According to IV vitamin C advocate, Dr. Alpha "Berry" Fowler, an ICU head in another hospital, sepsis cases result in septic shock and 826 deaths per day in the USA. As usual, there’s resistance to Dr. Marik’s proselytizing for IV mega-dose vitamin C use on septic shock victims and Dr. Fowler’s research efforts to prove its efficacy and safety, ranging from conservative and official to disrespectful and vitriolic. One of the very few MDs who courageously applied Dr. Marik’s cocktails for sepsis to ICU patients successfully was compelled to quit when hospital surgeons raised concerns over the treatment. In 1972 I had a puppy that came down with Parvo. The older local veterinarian treated the puppy with IV vitimin C. I took the puppy in for several days to get the therapy and just supported him at home. He survived and had no lasting effects from the illness. I have not met another Doctor that has tried this theripy. Mainstream Medicine oppose cure for sepsis and flu...because there is no "PROFIT" in cure! Here in Montana we are fortunate have a veterinarian who graduated from vet school in the early 1950s, and who can basically cure a horse of strangles within 24 hours. Strangles is streptococcus equi., and it causes the lymph nodes in the neck to swell, which can cut off the horse's air supply. This vet's IV treatment is tetracycline, dexamethasone, and Vitamin C, delivered in large doses. Ten years ago, my three horses contracted this very contagious equine disease from new horses in the pasture to our north. They quickly became very ill and totally gunked up with thick, green mucus. However, after the medications plus Vitamin C were injected into their veins, they were 95% better the next day. I followed up with a sulfa drug for ten days. 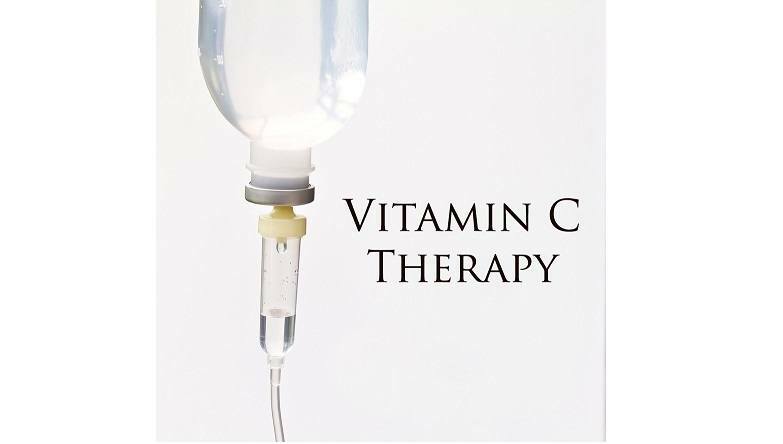 This is the only veterinarian I have heard of who uses IV Vitamin C.
Regarding daily Vitamin C use in humans, I recommend very educational Suzanne Humphries', MD, video: "Vitamin C Basics." It's available on YouTube. Can you please give us the name of the vet? You can either post your reply here, or leave a comment in the contact form at infusionScientific.com. We are developing a way to make their treatment much easier, effective, and accessible, and are looking for partners. Thanks! Please let me know who this Montana Veterinarian is ... I've developed an IV-to-go pump for the equine industry, specifically for doing therapies like this (high-dose IV nutrients) at a much lower cost and greater ease than is otherwise possible. You can read about the pump at www.infusionScientific.com. Can you give me the name of the vet? I have a foal with sepsis.